The Center for Health Affairs announced Monday that its president and CEO Bill Ryan will retire at the end of the year. 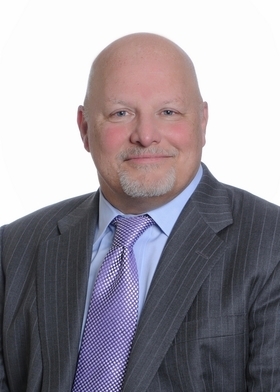 For 14 years, Ryan, 61, has served as president and CEO of the center, which is an advocacy group for Northeast Ohio hospitals, and its business entity, CHAMPS Healthcare. The organization's board of directors has started the process to find his replacement. Waverly Partners will assist in the executive search. “I came to The Center with a plan to revitalize its purpose, rebuild its business offerings, and create a workplace culture that would attract the best people. My part of that work is done," Ryan said in a statement. "It's time for new leadership to build on that foundation and take The Center and CHAMPS to the next level of success." On behalf of the organization's membership, Ryan advocated on dozens of public policy issues, including the Medicaid expansion in 2013 — a critical issue for the financial health of hospitals throughout the state. Gov. John Kasich used Ryan's proposal for a technical procedure that spared the majority of the General Assembly from having to vote on the issue. The Controlling Board voted to secure federal funds for the expansion. Without this approach proposed by Ryan, Medicaid expansion most likely wouldn't have passed in Ohio, according to a news release. Ryan also led CHAMPS Healthcare, which began as a collection of services for greater Cleveland hospitals, but now has several business lines serving thousands of clients across the country. The search firm will start identifying potential candidates in the coming months. The goal is to select a new leader by the end of the year to be prepared to start as CEO at the beginning of 2017. "Center for Health Affairs announces retirement of president and CEO Bill Ryan" originally appeared in Crain's Cleveland Business.